Myths abound in the north when it comes to techno ground zero, and they refuse to go away. Oliver Huntemann is one of a handful of children of the north who, for what seems like an eternity, add an element of credence to the mythology. He does not, of course, live in a snowy forest or at the edge of the polar oceans. The sun does, on occasion, shine down on Hamburg. Nevertheless, there is a tendency towards hypothermic reduction in the rigorous efficiency of the Huntemann oeuvre. Images of cold storage warehouses, desolate heavy plant sites and bluish flesh are not entirely misplaced. Shards of German Engineering glimmer in his music, laced with persuasive logic, gruesome Darwin- ism. What remains: what works.In “Brighter than the sun“, the English music theorist Kodwo Eshun depicts the birthplace of Kraftwerk, Dusseldorf, as the “Mississippi Delta of Techno“. Huntemann’s tracks may well have dragged themselves out of the same primeval soup, but it was the far north which fired them with the necessary steel for clubland. The resulting creations are linear, free of fancy, charmingly direct. One particular London arbiter of taste sought to label the nature of his skeletal sound as “bare and striped back to the metallic core“ – whereby Huntemann’s reduction does not end in thin minimalism, it draws attention to the core itself. Less is more to the max. 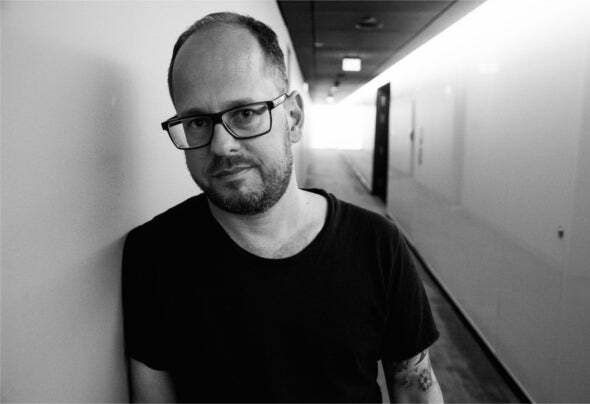 T he only luxury is a little dirt.Whilst hordes of German producers and DJs set their satnavs for Berlin, Oliver Huntemann chose to head back home. His epicenter is, and will remain, the north. Hamburg, to be exact. This is where he produces his music and it is from here that he sets out into the world, thrilling the populous with his DJ sets.Oliver Huntemann’s concrete roots can be traced back to early techno. Had he been any younger, he would undoubtedly have sucked electronica like mother’s milk from a C64 chip. Like so many of his colleagues, his route to techno took a tour through electro and rave. He could tell the usual vet- eran tales when it comes to influences, his first record purchases, or on the subject of the good old days. Been there, done that! It was more difficult maintaining a low profile.Since 2014 Huntemann has been running the Ideal Senso label. A new chapter after more than five years Ideal Audio plus a host of sub and sister labels.As well as numerous 12 inches and almost as many remixes (for Underworld, Chemical Brothers and Depeche Mode, to name just a few). Oliver’s expertly constructed productions quickly gained him countless admirers within the techno- elite, and it wasn’t long before he struck up a devastating partnership with Dubfire. In 2008 the pair released the awesome ‘Dios’ which was followed with the first parts of their ‘Elements’ series. The highly-anticipated final installment of the ‘Elements’ series is scheduled for release later in 2014 and initial reactions indicate that ‘Aqua’ is set to be just as big as the duo’s earlier productions.In November 2011, Oliver released his fourth artist album entitled “Paranoia”. Maintaining the lofty standards already set by his previous musical output, Paranoia, received glowing reviews across the board and further cemented Oliver’s position as one of techno’s most sought-after artists. Furthermore, with guest vocals from the world- famous and highly sought-after American Robert Owens in addition to the supremely talented Danish singer Ane Trolle, Paranoia demonstrated Oliver’s enduring skill and versatility as a producer.In summer 2014, Oliver has been lining up the latest instalment of the hugely successful PLAY! series preceded by an EP release aptly entitled “PLAY! 05 EP – Blitz & Donner”. Oliver’s „PLAY! 05 live in Vienna“ contribution to the mix series follows in the esteemed footsteps of previous PLAY! CDs (D-Edge Sao Paolo, Rex Club Paris, Cielo NYC, Roxanne Parlour Melbourne) and has been recorded live from Austrias number one spot „Grelle Forelle“.Spread over 2CDs, PLAY! relays the natural energy of the dance-floor and the gig, whilst also indicating that the listening experience is in the hands of an artist who has a clear vision for his musical journeys. PLAY! is an accurate representation of the music Oliver is currently playing at his DJ gigs, and the selection reminds us why he has remained relevant for more than two decades.That’s how it is in the north, actions count, not appearances!